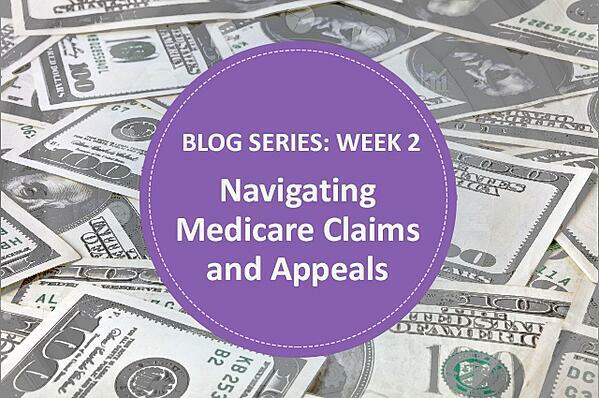 Thank you for joining us for week 2 of our “Navigating Medicare Claims and Appeals” blog series. Did Medicare deny your skilled nursing facility payment for services rendered? Section 1869 of the Social Security Act and 42 C.F.R. part 405 subpart I contains procedures for conducting appeals of claims in Original Medicare. This week, we will discuss your right as a provider under the five levels of appeals. Level 1 of the Medicare Appeals Process is a redetermination which includes a re-examination of disputed claims. It must be filed within 120 days of receipt of the Remittance Advice (RA). Additionally, Level 1 appeals do not require an amount in controversy (AIC). A detailed explanation of the reason for the request, along with supporting documentation must be included. Decisions are rendered within 60 days via a Medicare Redetermination Notice (MRN), revised RA or Medicare Summary Notice (MSN). Level 2 of the Medicare Appeals Process is reconsideration and is conducted by a Quality Independent Contractor (QIC). It must be filed within 180 days receipt of the MRN, RA or MSN. Just like Level 1, an AIC is not required. In writing with the beneficiary’s name and Medicare number. You must identify the service(s) for reconsideration with exact dates and the name and signature of the beneficiary or authorized representative. The name of the MAC that gave the redetermination decision must also be included. Keep in mind that all reconsideration requests must include the missing documentation listed in the notice. Don't forget to detail the reason(s)/explanation for the request and include supporting facts, laws or guidance related to the dispute. When filing a reconsideration, you must attach a copy of the redetermination notice decision (MRN, RA or MSN). Decisions are rendered within 60 days. If the QIC is unable to render a decision within 60 days, a notice will be sent to the facility, advising of the right to move to a Level 3. Level 3 involves filing an appeal with the Administrative Law Judge. An ALJ hearing must be filed within 60 days of receipt of a reconsideration decision letter or notice from a QIC. The minimum required AIC is $160.00 (threshold for 2018). Just like the other levels of appeals, you must include the reason(s)/explanation for the hearing request. Hearings are conducted via telephone, but the ALJ may require a video conference or in person appearance. The Centers for Medicare and Medicaid Services (CMS) or CMS contractor(s) may request to participate. Note that the ALJ may request additional information. Facilities will receive a Notice of Hearing within 20 days prior to the hearing date and a decision is usually rendered within 90 days. Level 4 includes a review by the Department Appeals Board (DAB). The DAB provides an independent review of disputes. A filing must happen within 60 days of receipt of the ALJ's decision. Note that either party may request a review at this level. There is not a required AIC. A copy of the request for review must be sent to all parties that received an ALJ decision/notice. Don't forget to attach a copy of the disputed decision with your appeal. It's important to be specific when listing issues and/or findings being contested. Decisions are usually rendered within 90 days. The final step in the Medicare Appeals Process includes a review in Federal District Court. It must be filed within 60 days of receipt of a DAB decision. Either party may request a review at this level. There is a required minimum AIC of $1,600.00 (threshold for 2018). Now that you have gained basic understanding of the five levels of appeals, come back for week 3 in our series where we will delve deeper into what happens at a Level 1 Appeal. Click to view the last article in this series.